Dr. Megan Peterson Boyle is a third generation Arizona native raised right here in the Valley of the Sun. Dr. Boyle earned her Bachelor’s of Science in Biology from the University of the Pacific in Northern California. Dr. Boyle then became a member of the inaugural class of Midwestern University College of Dental Medicine, in Glendale, AZ, receiving her Doctorate in Dental Medicine, choosing Midwestern because of its state of the art education and top notch facility. Dr. Boyle is dedicated to delivering the best possible patient care. She understands the anxiety related to dental care and has made it her goal to deliver treatment in a relaxing environment. Dr. Boyle believes tools such as sedation dentistry can greatly reduce anxiety in the dental environment and help the patient feel a greater degree of relaxation. Dr. Boyle strives to ensure every patient receives the time and attention they need. The time spent with each patient is the Dental Studio difference. Dr. Boyle enjoys delivering all aspects of general dentistry to the whole family, including tooth-colored fillings, veneers, bonding, crowns, bridges, dentures, oral surgery, dental implants, all-on-4 “teeth in a day” procedures, TMJ, root canals and even pediatric dentistry. Dr. Boyle is a member of the American Dental Association, the Arizona Dental Association, the American Academy of Implant Dentistry and Seattle Study Club. Dr. Boyle is a lifelong learner and is always pursuing further educational opportunities in her field. 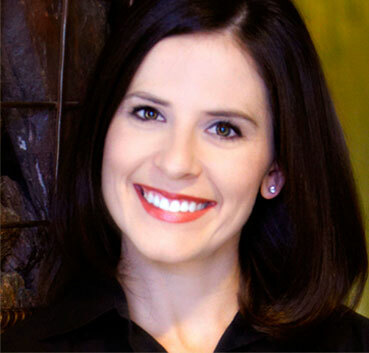 She enjoys taking continuing education in a variety of topics including implant dentistry and TMJ. Outside of the practice she enjoys spending time with her husband Garrett and their daughter Georgia. She loves any time spent outdoors, cooking, exercising, and any Pinterest inspired do-it-yourself project! Dr. Boyle is proud to have a long-standing in the community and enjoys keeping with the Dental Studio theory of excellence in patient care. There is no other dental experience like the one our patients receive at Dental Studio 101. Dr. Megan Peterson Boyle did an excellent job in repairing a veneer for me. I contacted her with an emergency on Saturday and she immediately returned my call and scheduled me to come in at 7:00 am on Monday. She fixed my veneer quickly and thoroughly. She is always caring, warm and does wonderful work. I will continue to recommend Dr. Peterson and all the qualified and nice people at Dental Studio – you are all great. My experience with Dr. Megan Peterson Boyle was quite an unexpected but wonderful, she is a very congenial and efficient Doctor. In other words, she know what she is doing and does it well…She is definately a professional in her field. Dr. Peck (Mark) really picked two great Dentists for the “Dent Studio” to work with him. Another thought, the Dental Assistants with them, are also very good. After chipping a tooth, I was able to schedule an appointment that day or the next. Dr. Peterson Boyle evaluated me with a perfectly fit and matched crown, and I was in and out in an hour and a half. Couldn’t be happier with the workmanship or the staff. Much thanks!